Shimla: Chief Minister Virbhadra Singh, in a workshop on ‘Living with Leopards’ stressed for the need of creating awareness amongst the people and sensitize them about the habit, movement and activities of the leopards so that humans could develop an approach to live with them harmoniously. The Chief Minster said that even in Shimla, leopards do live in close proximity with human beings without causing any harm and sometimes venture out in the town. There is a need to strengthen our ancient cultural understanding of co-existence for all, he added. The Chief Minister said that our Government had encouraged landscape level conservation planning for Snow Leopard and its species in a manner that was conducive for its populace fostering their livelihood. 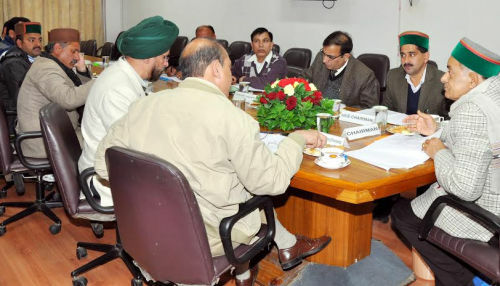 “The government would spare no effort and resources to see forests grow and survive and wild life species protected” said the Chief Minister, adding that the forest department has done a commendable job in captive breeding of the endangered species may it be Western Tragopan, Cheer Pheasant, Snow leopard, Himalayan Monal etc. “Preservation of forests is not only important for State as a whole but also for the nation as well” said the Chief Minster. 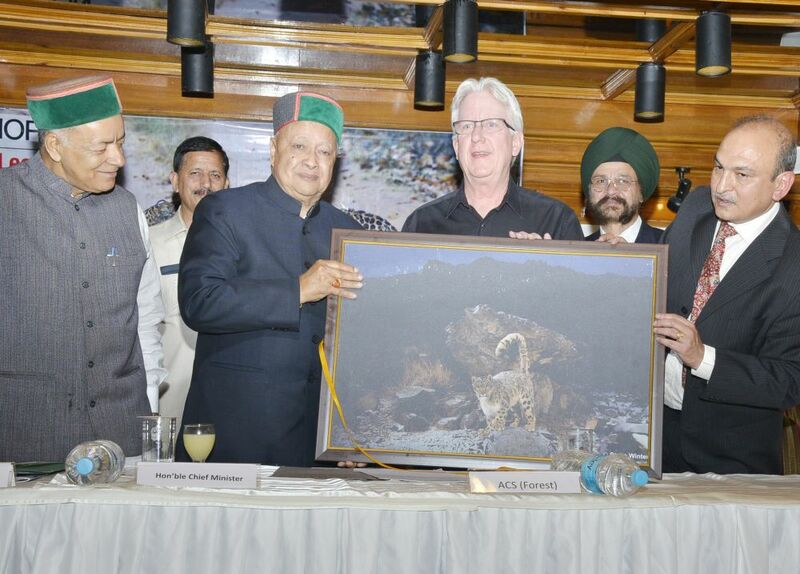 He said that Himachal was endowed with rich forest wealth and unique repository of bio-diversity, both faunal and floral. Forests have special significance in maintaining the fragile and sensitive ecosystem which are both favorable to the humans and the wild life. “The experts who have gathered here, I hope would attempt sensitization to the issue of increased leopard population in and around Shimla and how to live in harmony with the predators” said the Chief Minister. The Chief Minister stressed upon dove-tailing all wild life activities with the livelihood and economical well being of the citizens of the State. Earlier, Forest Minister, Thakur Singh Bharmouri welcomed the Chief Minister and detailed about the motive behind organizing the workshop. He also quoted few examples of co-existence of the predator with humans since times immemorial. Additional Chief Secretary, Forests, Tarun Shridhar gave a detailed description about the co-existence of mankind with nature. He said that the wild life department had come up with a plan of peaceful co-existence of man and animals. Vice-Chairman HP Forest Corporation, Kewal Singh Pathania, PCCF J.S. Walia, Steve Winter from National Geographic. Belinda Wright from Wild Life protection society of India, Yashveer Bhatnagar from Nature Conservation Foundation, Vidya Athreya were also present on the occasion amongst others.